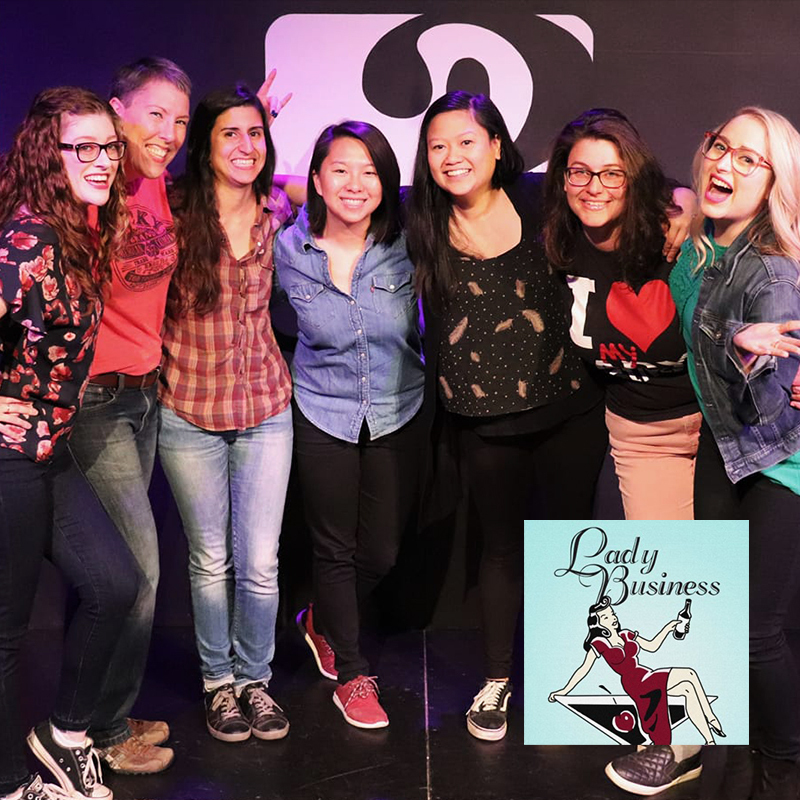 Lady Business, Sacramento’s longest-running all-female improv troupe, uses true stories from the cast to create a long-form improv show with smart humor, unexpected characters, and guaranteed laughs. After the ladies tell true stories on a monthly theme, the cast does a series of improvised scenes inspired by the stories. None of these stories are shared with each other prior to the show. Make it a night of comedy! On regularly scheduled nights, see Lady Business AND Anti-Cooperation League (ACL) at 9pm and save $5. Get two shows for just $15! Add the ACL upgrade to your cart during checkout to take advantage of this offer. If there is a 10:30pm show also scheduled on that date (included with purchase of a ticket to ACL), you can see all three for the same price!